The annual campaign for Northwest Ohio Community Shares is taking place now. Please take a moment and support these fine organizations who we team up with to bring charitable giving options on a larger scale. 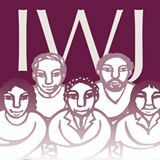 Toledo Area Jobs with Justice & Interfaith Worker Justice Coalition Ride to the Polls & Polling Locator Interested in driving? For Early Voting or Election Day Send an email to be part of the team. gotvohio@gmail.com Need a ride, know someone who does. Welcome to the new Jobs with Justice site! It's the new roll out!! Explore the new site. Stay tuned for more updates and actions.